Hiking is a great way to experience the natural beauty and solitude that the Ochoco Mountains offer. This page highlights some of the Ochocos' most magical places with options for all ages and hiking abilities. Lookout Mountain is located on the south western portion of the Ochoco National Forest and is one of the closest recreation areas from Prineville, Oregon. At the summit of Lookout mountain there are panoramic views of the Cascades and Big Summit Prairie along with a multitude of wildflowers in the spring and summer. If the wildflowers and views are not enough to convince one to make the hike, there are giant old growth ponderosa pine trees and many signs of wildlife. Additionally, on some of the trails one can see historic mine sites. Round Mountain is located near Lookout Mountain but offers more seclusion and difficult hiking than the main Lookout Mountain hikes. Round Mountain also provides beautiful vistas of the Cascades at the summit and the route up. Furthermore, there are beautiful alpine meadows, wildflowers in the right seasons, and old growth ponderosa pine trees. The Mill Creek Wilderness is located on the north western portion of the Ochoco Nation Forest, boasting two dramatic volcanic spires. These stunning geological wonders are accessible just 15 miles outside of Prineville. The Twin Pillars reside in the heart of the Mill Creek Wilderness, proudly standing 200 feet tall. Just outside of the wilderness, Steins pillar stands 400 feet tall, a beacon in the densely vegetated landscape. 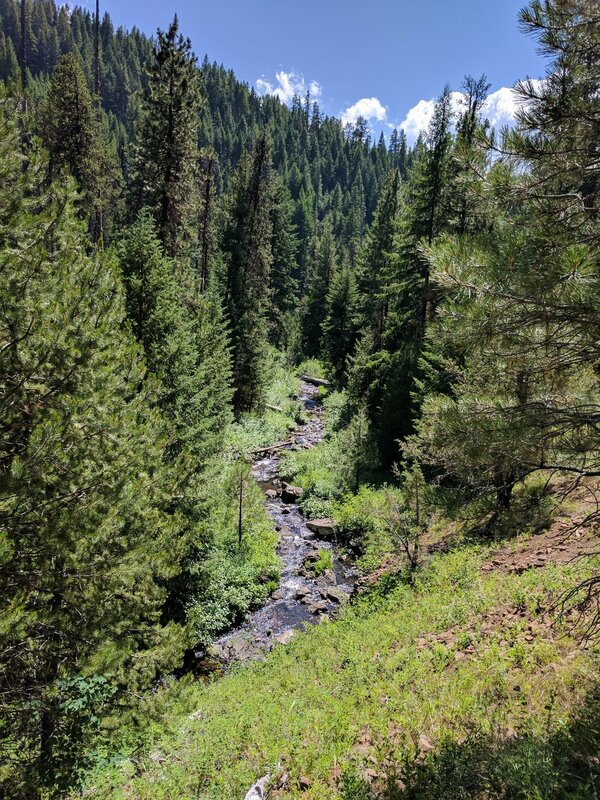 Spanish Peak is located in the north eastern portion of the Ochoco National Forest and it offers beautiful views of the entire Ochoco Forest, John Day, Cascade Mountains, and many other smaller mountain ranges. This area is more secluded with less maintained trails than the western section of the forest. For the adventurous hiker who is not afraid of a little bushwhacking on a marked route but not necessarily a cleared trail, this is the area to explore. For those who brave the trip to this side of the forest, they are well rewarded with views, seclusion, and wildflowers. Walton Lake is a family friendly area to take a stroll around the lake, play in the water, fish, and look at wildflowers and birds. Cougar Creek Trail is located on the north-western side of the Ochoco National Forest and traverses up and down Cougar Butte where sunlight is filtered by pine and fir trees. The trail crosses Heflin, Dodds and Cougar Creek.